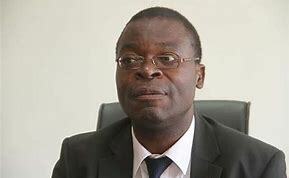 Lecturers at higher and tertiary institutions should ideally have doctorates (PhDs), but in cases where there is a critical skills gap, a master’s degree will suffice to guarantee quality graduates, a Cabinet Minister has said. Higher and Tertiary Education, Science and Technology Development Minister Professor Amon Murwira said while there has to be an insistence on PhDs for lecturers, an academic senate at any institution – which ordinarily is the governing body – can consider holders of master’s degrees, especially in “critical shortage areas”. “The basic qualification for appointment to the university’s academic staff is normally an earned PhD/DPhil degree, but a master’s degree may be considered in the critical shortage areas as approved by (academic) senate. This is subject to review from time to time,” said Minister Murwira. He said being encouraged to have the highest qualification possible should not be scary as it was not a diesease..
“Our education must have predictable order and be transparent to itself in order to be trusted by the outside world, and to achieve this, we are implementing the Zimbabwe National Qualifications Framework (ZNQF),” said Prof Murwira. In essence, ZNQF is designed to harmonise and standardise national qualifications that meet regional and international standards. The framework also ensures grades amongst staff in higher and tertiary learning institutions are standardised, which reduces the variability in competencies of lectures in the same grade.